We are so excited about our partnership with Lexus on this flagship project and know this will allow us to build our Visual Business in the years to come. The Lexus dealership in Escondido California is a state-of-the-art facility quickly making a name for itself around San Diego. It is a full service, award winning dealership complete with new and pre-owned models, service and parts center, and collision center. But Lexus Escondido didn’t stop there. 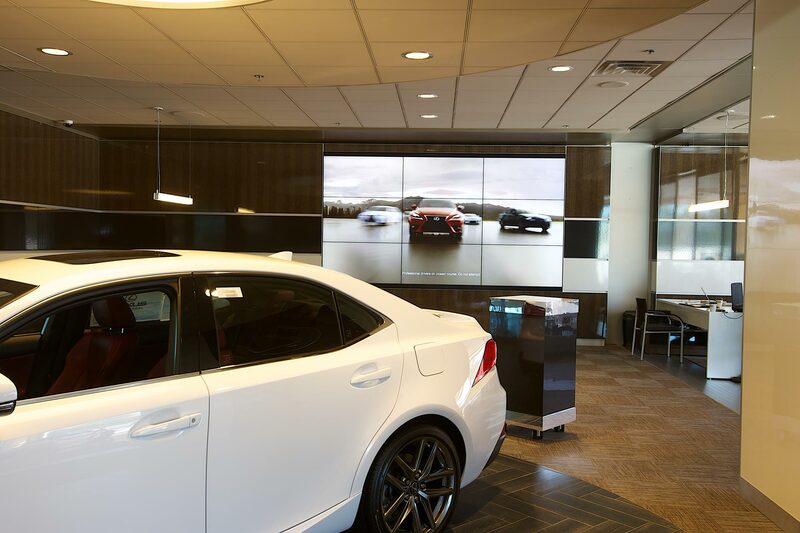 Going above and beyond what any normal dealership offers its customers, Lexus decided to completely change the car buying experience by adding what they call “The Centre” to its Escondido location. 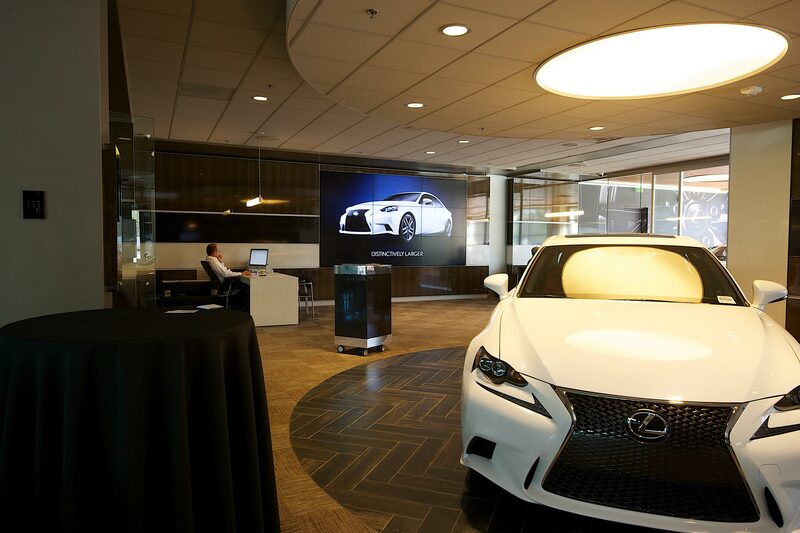 The Centre at Lexus Escondido includes a restaurant, golf simulator, business center, private library, children’s area, retail shops, conference rooms, 20,000 square feet of event space, and a learning center. 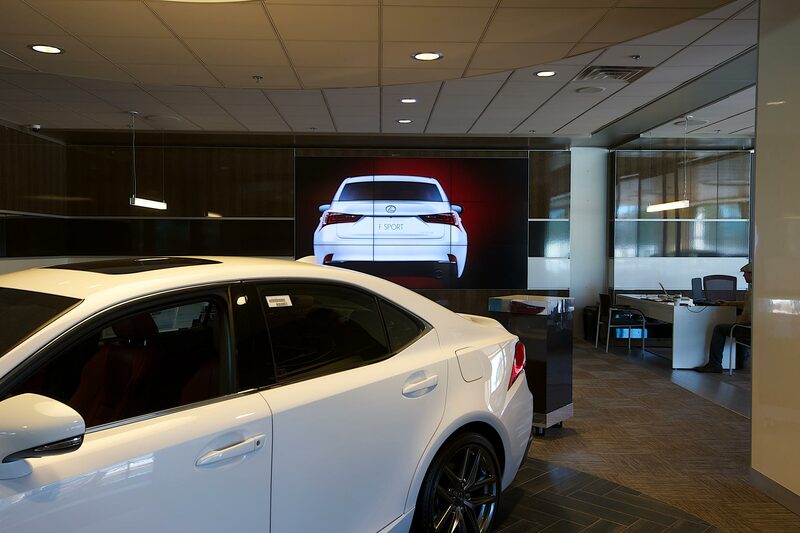 It was in the Learning Center that we provided them a visual experience worthy of the “wow factor” Lexus was eager to create. In the Learning Center our team of skilled technicians installed a high-tech integrated system complete with a nine screen video wall, nine more Apple TV’s, and a separate three screen content arrangement. In total, there are 14 different video channels, all controlled through a high-tech Savant system that allows Lexus to control the lighting and thermostat through an iPad, and it controls the music too.